For the second time, 10,000 dance music fans flooded into Eastleigh for Southampton Soundclash. The festival is in no way small, considering it is still awaiting its first birthday; debuting in May this year. Soundclash isn’t stopping there, either, as May 2016 will see the capacity of the festival grow to 15,000, spanning across two days instead of one. 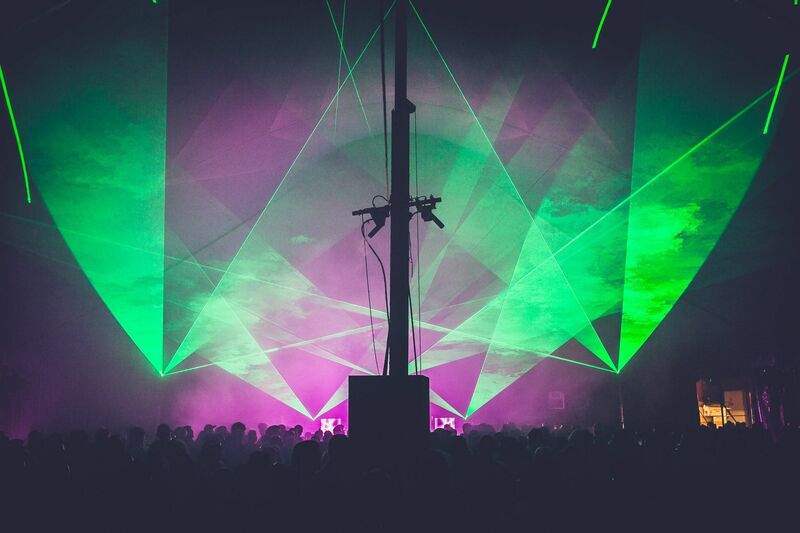 The day festival has received a lot of hype in Hampshire, and after round one in May being so good, Soundclash round 2 had a lot to live up to. Being freshers week, and the end of September, everyone was still clinching onto the dying ember of this summer’s festival season. But, spirits were high, and the festival site came equipped with a buzzing atmosphere. Soundclash’s travel situation was not the best the first time, and starting the day seeing South West Trains had a bus replacement service in place didn’t help the situation. Not the festival’s fault, though, so its easier to pass. The already small site had an extra Big Top tent squeezed in, and although the site was well laid out, it just seemed like a bit too much. Add 10,000 festival-goers too and it was all a tad cramped. As for the VIP bar/area it was to more than an extra bar, which was no less busy than the standard bars, but it did have some nice toilets, opposed to the standard portaloos. To be honest the VIP did not necessarily provide anything special for the extra money punters paid. Nonetheless it didn’t too much affect the day of fun unfolding. Looking at the second event, its becoming evident why Soundclash has done so incredibly well. 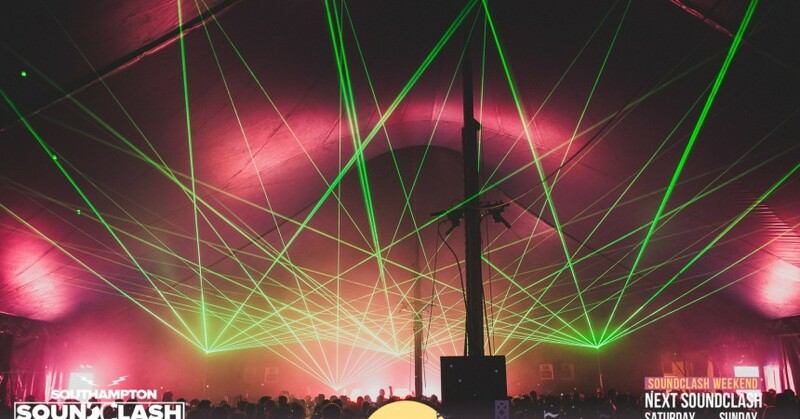 Events companies Switch and Warehouse, focussing on house and techno, hosted the two Big Top tents. The other two tents were dedicated to dnb and garage. All of the tents had mainstream appeal, but with a mix of great dance music, and that is one reason why Soundclash is currently the best dance event in Hampshire. 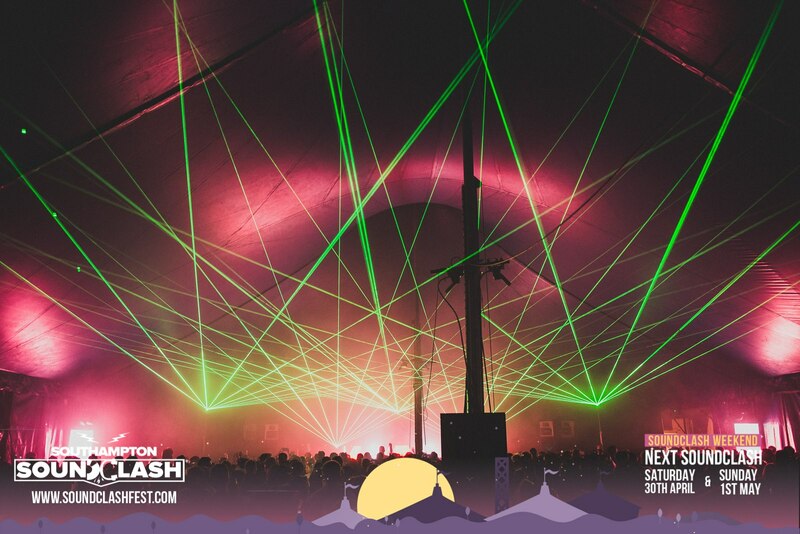 Soundclash’s main stage delivered us bassline duo My Nu Leng, dnb DJ Shy FX, BBC Radio 1 Extra’s Mistajam, house duo Bondax and a classic DJ set from Basement Jaxx. Although, I have to say Basement Jaxx’s DJ set, doesn’t do any justice compared to their live show. The lineup was impressive, though, and we also managed to catch performances from Hannah Wants, GotSome, and Kurupt FM from BBC Three’s People Just Do Nothing on Soundclash’s other stages. Although it was a great day out, there is still some things that need ironing out. The cramped space is an issue that has to be addressed. Especially if the festival is to grow, and compete with some of the UK’s biggest dance events. If possible, more toilets need to be added. But, musically the festival is solid, and should remain that way. The main issue, however, is transport. It happened the first time, and it happened again. Departure from the festival was poorly organised, and not to mention South West Trains’ lack of trains, the road outside the festival was saturated with coaches. The only people who left with no trouble were those who choose to miss the last hour and get out happy when they could. But, the majority don’t want to do this, especially when they’ve paid good money for a festival ticket. This aside, Soundclash is an excellent day, with an impressive lineup of acts. And we really hope that this continues. Some festival’s can leave punters feeling ripped off (ignoring the drinks prices at Soundclash), but Southampton Soundclash did all of this for as little as £30 if you buy your ticket early. And, that’s definitely enough to create 10,000 smiling faces. Until May.